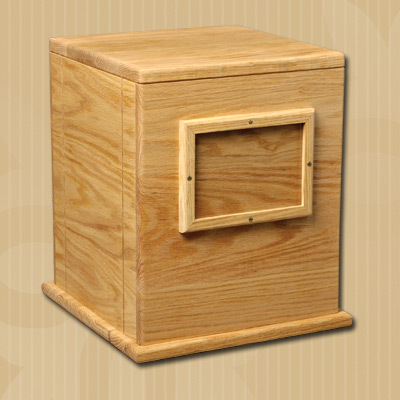 The Equine Classic Urn From MCS Supply Inc.
Handcrafted in rich oak wood. Elegance in its simplicity. Mounted frame holds a photo for memorialization. The bottom removes for access and is secured by 8 screws. 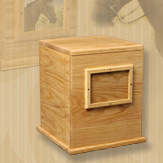 EQUINE Urn Size 13" x 13" x 15"
Photo Frame 5" x 7" 1488 Cubic"